India decides - are Hardik Pandya and K.L. Rahul an embarrassment to cricket? 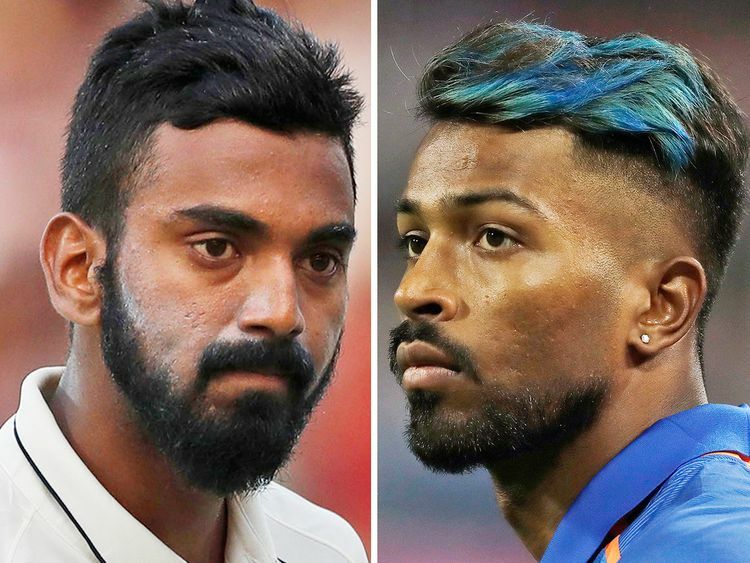 New Delhi: The Committee of Administrators (CoA) of the Board of Control for Cricket in India (BCCI) on Thursday lifted the suspensions of Hardik Pandya and Lokesh Rahul with immediate effect, which was imposed for their objectionable comments on a television talk show. "The Committee of Administrators (CoA) had, by emails dated 11.01.2019, and in exercise of Rule 41(6) of the Constitution of BCCI, suspended Hardik Pandya and K.L. Rahul in view of the allegations of misconduct against them, pending adjudication of the allegations under Rule 46 of the approved BCCI Constitution," a BCCI statement said. "Since the adjudication of all allegations of misconduct against any cricketer registered with, inter alia, the BCCI is required to be undertaken by the BCCI Ombudsman, whose appointment is pending directions of the Supreme Court of India, the CoA is of the view that the interim suspension orders dated 11.01.2019 should be presently lifted with immediate effect." With the second ODI against the Kiwis slated for Saturday, it is highly unlikely that the duo will be available for that match, but with skipper Virat Kohli being rested for the final 2 ODIs and the subsequent three-match T20I series, all-rounder Hardik and opener Rahul may get a chance. What happened on Koffee with Karan? International Indian cricketers Hardik Pandya and K.L. Rahul appeared on the January 6 episode of the talk show Koffee with Karan, where Pandya made racist, sexist misogynistic comments against women. The episode was hosted by Bollywood director Karan Johar, who asked Pandya and Rahul about their personal lives. Pandya spoke about his many sexual encounters and preferences in women. He also mentioned that he has always been very “free” with his parents and told them when he lost his virginity. Johar asked Pandya: "Why don't you ask women's names at nightclubs?" He responded: "I like to watch and observe how they move. I'm little from the Black side so I need to see how they move." He went on to add further: "At a party my parents asked me acha tera wala kaun sa hai [who are your women]? I said yeh, yeh, yeh [this, this and this] and they were like waah proud of you beta." And the conversation continued in this vein. There was such strong backlash that the broadcaster Star TV, apparently removed the episode from its online streaming platform, Hotstar. The cricketing fraternity is furious and social media is up in arms, especially in #MeToo context.